Semi Finger Tip: The Semi finger tip insert has a smooth, rounded bump close to the front edge of the insert. When properly fit, the bump rests between the first knuckle of the finger. It is designed for a more relaxed grip and ideal for bowlers who suffer from arthritis or have weak grip pressure. Power Nub: The finger pad of the Power Nub is lined with rows of small, raised bumps. The Power Nub has a very sharp feel and is not for the faint of grip! This style is recommend for a strong grip. 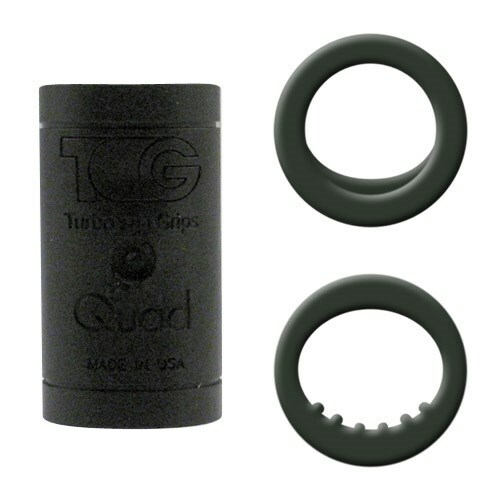 Due to the time it takes to produce the Turbo Grips Quad2 Black Inserts ball it will ship in immediately. We cannot ship this ball outside the United States.